Isn’t reading a better option during red and cloudless time with a cup of hot tea on your cozy bed? Then how about getting a unique stellar artifact besides your bed? 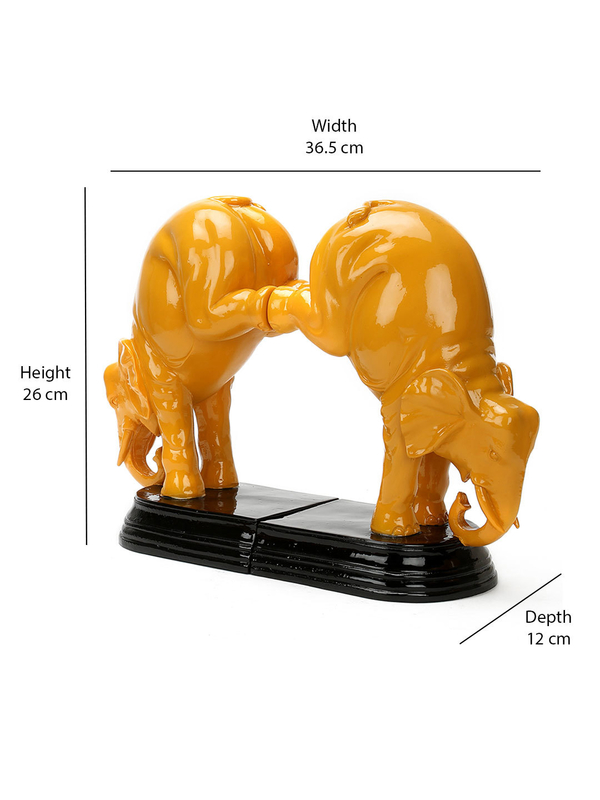 Truly for the artistes, the Dancing Elephant Bookend Showpiece is both aesthetic and functional. Its unique design and structure will surely make it one of the most loved purchases in your home. The mustard color elephant brightens your space and its interceding designs will definitely make your guest appreciate your home décor skills.